When your loved one starts to slow down, it can be tempting to take over and do too much for them. But for seniors, staying independent is an important part of maintaining dignity and respect—and it can contribute to physical, mental and emotional well-being. Your job is to support their wishes and involve them in as much as they want and are able to do. Talk with your loved one about their interests and give them control over their activities whenever possible. Let them take the lead and then work out the logistics with, or for, them as needed. Help them continue their regular activities like attending church, visiting with relatives, and reconnecting with old friends or groups they were involved in. If they are able to manage it, take them to library lectures, local theater or any community event they’re interested in. Ask them to plan meals, fold the laundry and participate in the shopping, cooking and cleaning where possible. Bake cookies together, even if they can only help stir the dough. Let them decide what TV shows, radio programs and music they want to listen to. 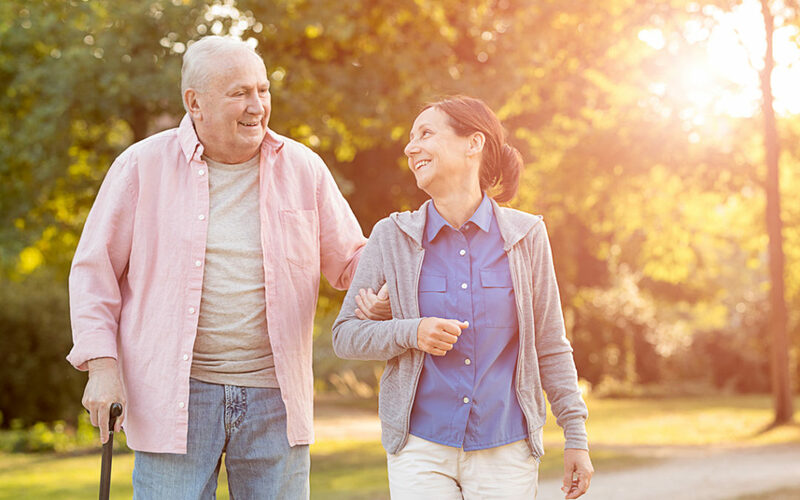 Staying active is critical for good health, so keep them moving—whether it’s a yoga class at the senior center, planting flowers in the yard, a walk around the block or chair exercises at home. If they have exercises recommended by a physical therapist, remind them and encourage them to do them regularly. Play cards or board games, do sudoku or crosswords, work on a jigsaw puzzle, play along to TV game shows, or follow their favorite sports teams. In other words, play along with whatever they enjoy! Prevent falls by removing hazards that could cause your loved one to trip or fall down. Add handrails in hallways and stairways and grab bars in the bathroom for extra support. If they are alone for lengths of time, consider getting a personal emergency response system so that they can call for help by simply pressing an alert button.